The potential for devastation and injury from a car accident is always high. But, sometimes you get lucky and come away from an accident unhurt, suffering only damage to your vehicle. In these cases, it's important to understand your legal rights and how to act after an accident. The steps you take in the aftermath of your crash can help you settle your claim quickly and keep you from being pushed around by aggressive insurance companies. It's important to be your own best advocate. As always, if you're injured after an accident, contact our experienced attorneys for a free legal consultation. Call us at 1-866-943-3427 or simply complete the form located to the right. Call 911 – You might be uninjured, but seek medical attention if anyone is hurt. Make sure to contact the proper medical personnel. Contact the Police – This will give you the opportunity to file a police report. If they don't intend to make one, ask them for an informal report. Discuss only the facts and never admit fault or blame anyone. Witness Contact Information – Collect the information of any passengers and other witnesses involved in the accident, as well as the information of the car's owner if it differs from the driver's. If the other driver is at fault, their insurance company should contact you shortly to file a claim. If you don't hear from them, contact your own insurance company. Don't sign anything from the other insurance company until you know exactly what it entails. Protect your legal rights. Don't give a recorded statement. They might attempt to confuse your story, trip up your details, and use it against you. Just say, "No." Keep records of all communication between you and the other driver's insurance company. Be your own best friend – the insurance company won't have your best interests at heart. You can fix your car through either insurance company – your own will try to collect the expenses from the other insurance company. Make sure to refresh yourself with our Insurance Company Tips page. 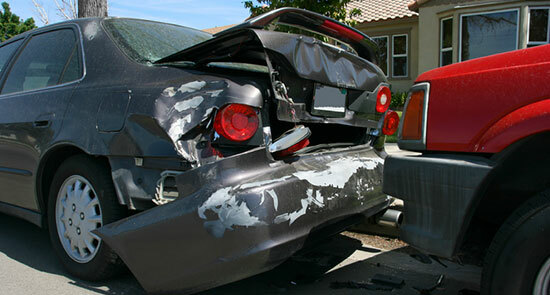 It has useful information when handling insurance companies after an accident, especially if you've been hurt. For other car accident information, check out our pages for what to do when your car is totaled and what to know about renting a car after an accident. If you need legal help, our successful attorneys have over 35 years of experience and have recovered over $1 billion dollars in verdicts and settlements. Don't hesitate to call us today. We're available 24/7. Our legal professionals are standing by and ready to help if you've been injured. Contact us at 1-866-943-3427 or simply complete the form located in the top right corner of this page.